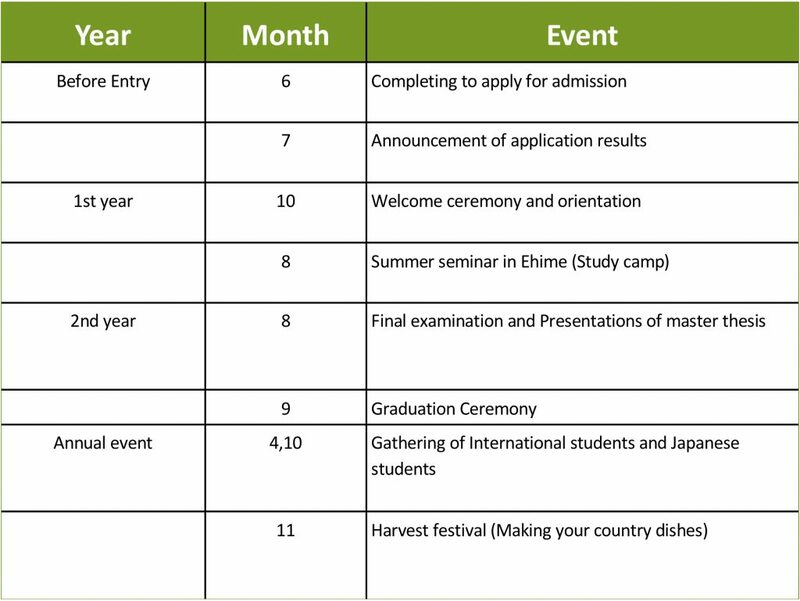 The AAP Program was established as a special 5-year Course for International Students from Asian, African, and Pacific Rim countries (AAP Special Course) and is offered by the Shikoku International Student Education Consortium through the Graduate School of Agriculture of Kagawa University and Consortium Universities 2018. 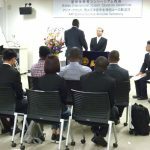 The Special Course for International Students from Asia, Africa and the Pacific Rim (AAP Course) is a graduate school program that accepts international students from the Asia-Africa Pacific Rim region and conducts all classes and research guidance in English. The AAP Special course is a five-year continuous education program composed of master’s and doctoral courses. 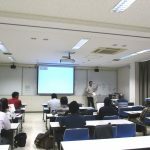 After completion of all the requirements in the first two-year master’s course, a student will be awarded a master’s degree from Kagawa University. 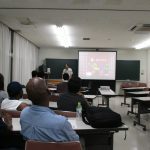 Students are expected to continue their studies in the doctoral course (three years) of the United Graduate School of Agricultural Sciences, Ehime University. Students will be awarded doctoral degrees after completion of all program requirements. The Kagawa School of established in 1903, was one of the first agricultural training institutions in Japan. 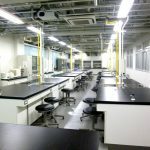 It was committed to developing and utilizing a scientific approach and the newest techniques to advance agriculture in Japan. 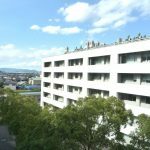 Over the years the school grew and adapted to meet the changing demands of agriculture, culminating with its integration with Kagawa University in 1955 as the Faculty of Agriculture. 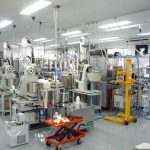 Since then, changes in agriculture have accelerated and many new and exciting technologies and fields of study have emerged. 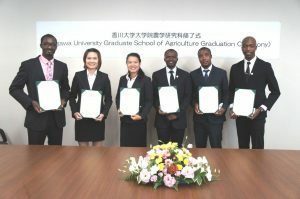 Nowadays the Graduate School of Agriculture, Kagawa University offers education and research programs to foster highly specialized agricultural scientists with basic academic abilities, practical skills and research and development capabilities in the areas of various kinds of applied life sciences such as food production techniques, food science, environmental conservation, and so on to create an affluent society based on environmentally friendly and sustainable production. 1st year: Students start Research planning related to Master’s thesis and have to take Introductory & Compulsory subjects. (Compulsory subjects is including Japanese language/culture for daily necessities). After completing the basic subjects, they will acquire more specialized subjects. 2nd year: Students write their thesis while advancing the research and investigation. Some students take class set as elective subjects from the specialized subjects. Here you can download the Application Guide and the necessary forms to apply for the AAP Program.